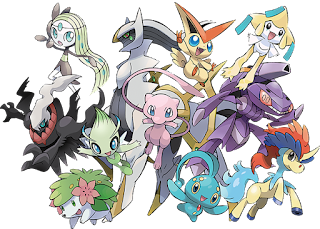 Nintendo are celebrating 2 decades of Pokemon games with free official mythical pokemon events throughout 2016. Each month from February there will be a new Mythical available for download at various events. Many of these Pokemon are almost impossible to get a hold of so this is an exciting time for those trying to finish the National Pokedex. Mew is available until February 24th by visiting a Gamestop location and receiving a gift from your Pokemon card. Be sure to take a couple of games with you so you can get more than one! Pokemon X, Y, Alpha Sapphire and Omega Ruby cards can all accept these mythical pokemon. More instructions and a release schedule can be found on the Pokemon 20th Anniversary website. Gotta catch em all!